Written by: Paula Cuadrado --- https://www.youtube.com/watch?v=cK2eJZMXL7k&feature=youtu.be Eight-year-old Brylie knew she would get to see country superstar Brett Eldredge when he came to Texas on tour, but it went a little different than she planned. See, Brylie and her family had tickets to see Brett and his pals in concert in Dallas but the tour date came when she was hospitalized for a lengthy stay and couldn’t make it out to the concert. But that’s where the Seacrest Studios at Children's Medical Center Dallas works its magic. Since the children who are hospitalized can’t make it out to the concert, we bring the concert and events to them, right there in the hospital. 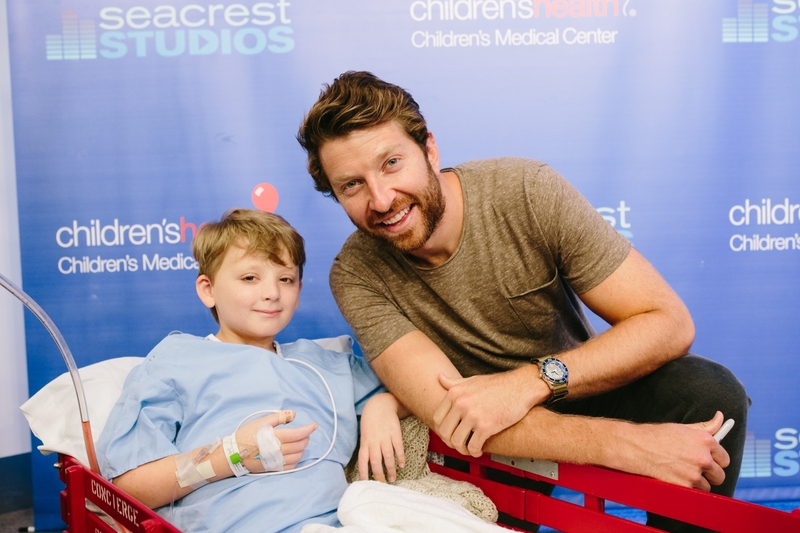 So instead of being one in a crowd of thousands, Brylie and other patients at Children’s Health got the VIP fan treatment with Brett Eldredge!